Boxing legend Floyd Mayweather Jr. (pictured) has cleared a major hurdle in setting up a blockbuster boxing match with UFC lightweight champion Conor McGregor – Mayweather has announced he has officially come out of retirement just to face McGregor. 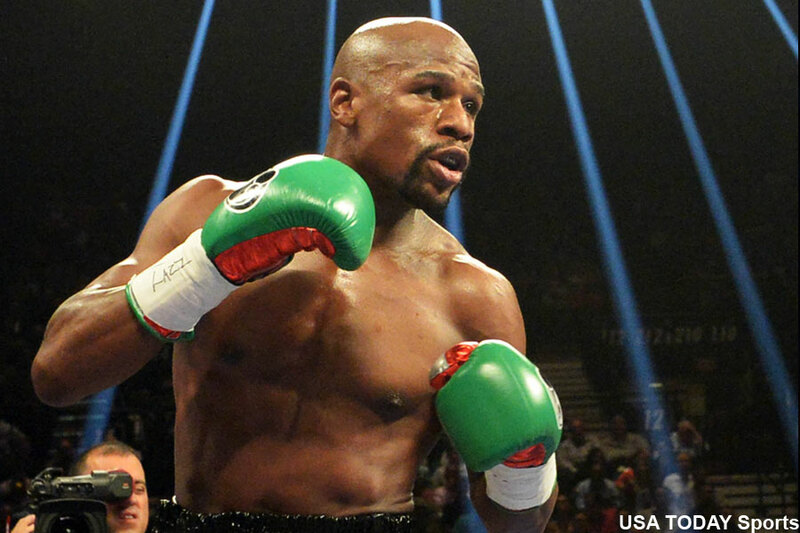 Mayweather upped the ante by setting a June timeframe for their boxing match. All that needs to happen now is for McGregor to agree to Mayweather’s financial terms and put pen to paper. Oh yeah, also get the UFC’s blessing or sidestep his bosses altogether. “When I faced Arturo Gatti, I went to his turf,” Mayweather told a group of reporters (which was recorded by FightHype.com). “He was the A side, I was the B side. I beat him. I didn’t cry. I didn’t complain. When I faced Oscar De La Hoya, he was the A side, I was the B side. I didn’t cry. I didn’t complain. I beat him and I became the A side. For Conor McGregor, I’m coming out of retirement, just to fight Conor McGregor. Mayweather didn’t reveal if his financial demands have deviated from the $100 million guaranteed that he laid out in January, but it’s assumed he’s not budging. McGregor has thrown out that he also wants $100 million for the bout, which is why Mayweather keeps bringing up this whole “I’m the A side and he’s the B side” thing. Two months ago, UFC president Dana White countered Mayweather’s bid by offering both fighters $25 million apiece, plus a percentage of the show’s pay-per-view buys to be negotiated later. Mayweather literally laughed at White’s lowball offer. McGregor didn’t even respond. McGregor hasn’t been seen since dusting Eddie Alvarez in November to capture the UFC lightweight belt. He was expected to take off the first-half of 2017 until the arrival of his first son. The ball now appears to be in McGregor’s court, because his proposed opponent has decided to go back to work just to meet him after retiring in September 2015. From Mayweather’s perspective, there certainly is no time to waste. He just turned 40 last month. McGregor, who has never competed in a professional boxing match, is just entering the prime of his fighting career at 28.